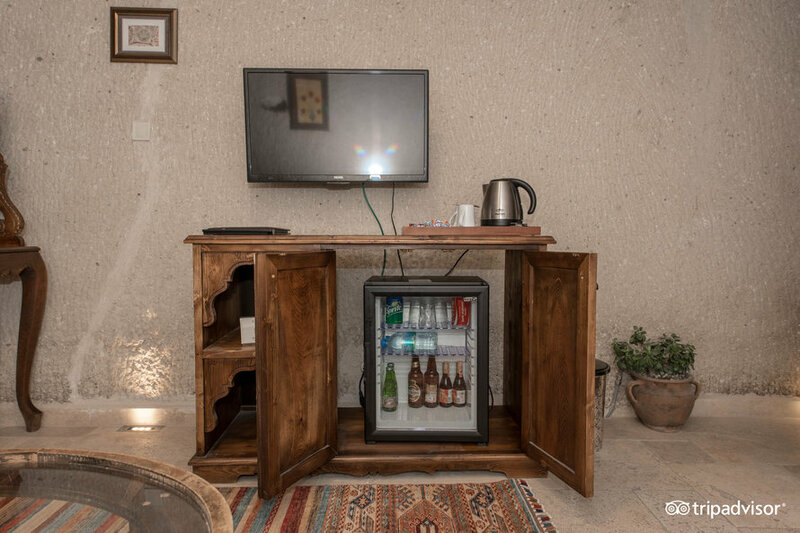 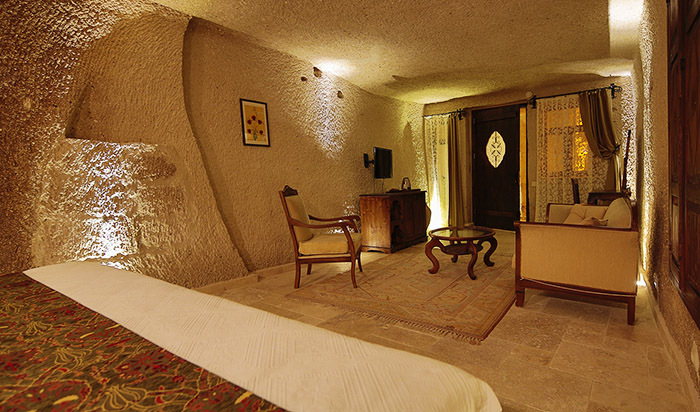 We have kept the authenticity of our caves so that each room has it’s own unique individual style and design. 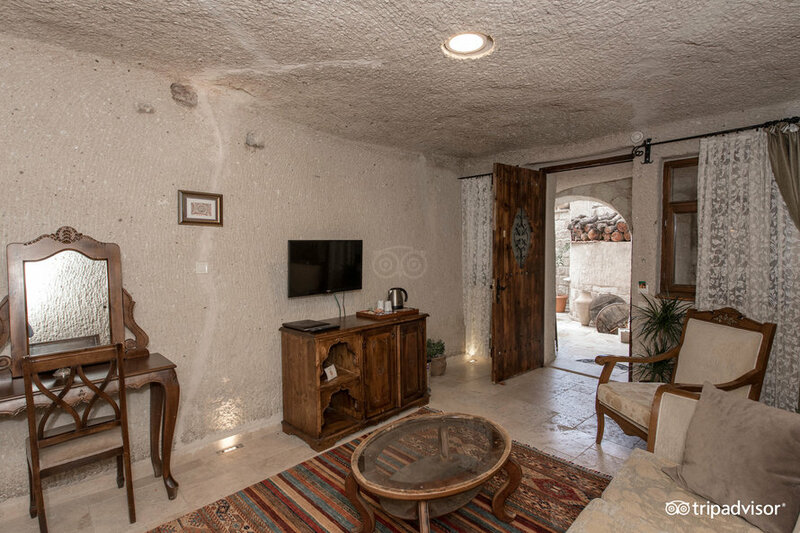 Each cave was used for our family’s traditional village lifestyle such as food storage and cooking. 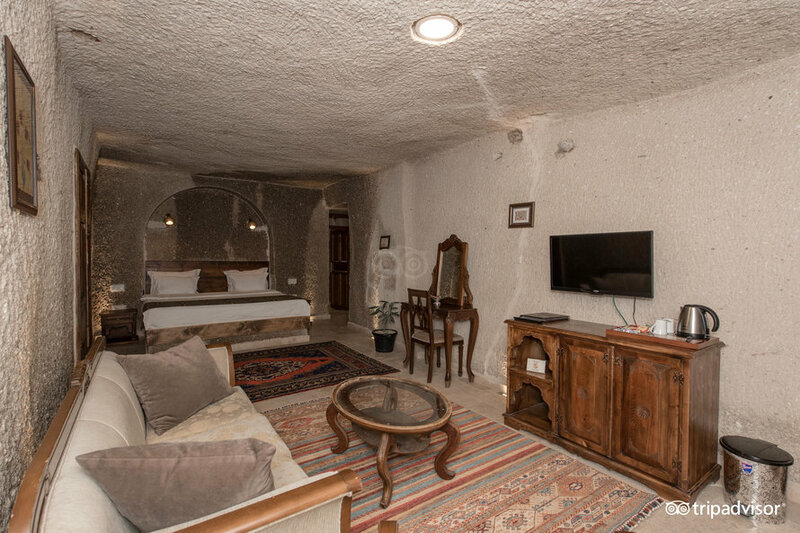 This superior cave double room has all modern facilities with an extra large king size bed. 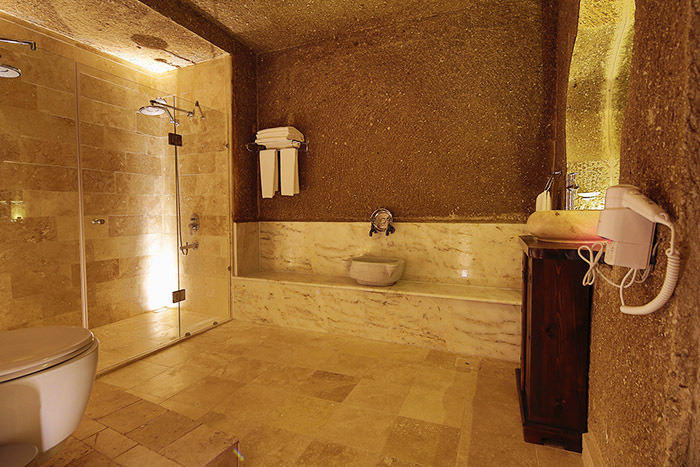 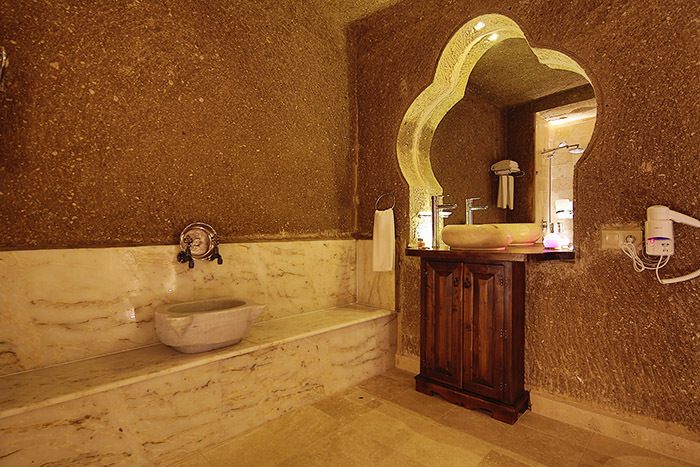 It has a private cave bathroom with double rain shower heads and features a Turkish-style hamam. 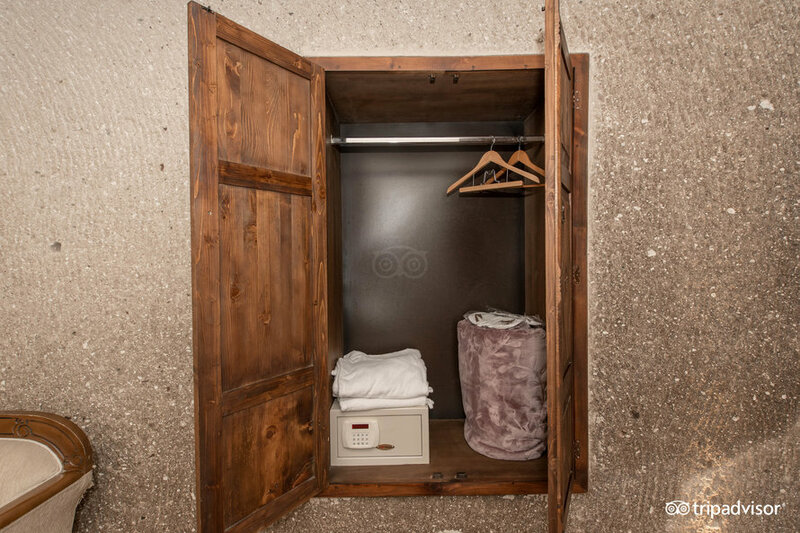 This room is located on our ground level. 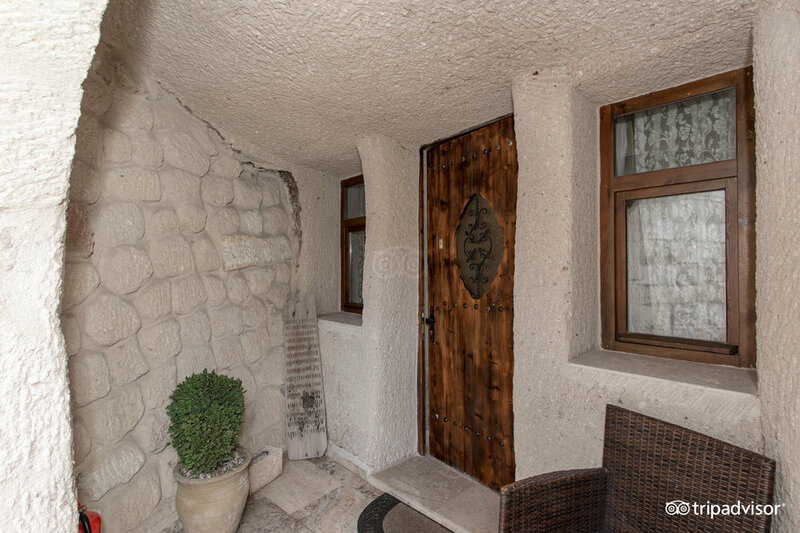 There is a shared outdoor patio area to relax and socialize.